In The Face of Resource Scarcity, Why Are We Still Building Casinos? Last month, my Pueblo, Te Tsu Geh Owingeh, announced that they plan to build a new casino and hotel, just miles from the existing Camel Rock Casino. This new casino, set to open fall of 2018, will be built on the plot of land where the Tesuque Flea Market used to be located and will neighbor the Santa Fe Opera. While Opera go-ers and Santa Feans quibble about the new casino and it’s traffic ruining the Opera experience (which is valid), I think we are missing the more important issue at hand, which is, casinos are a short sighted economic investment for our Indigenous communities and do not align with traditional values. Now, I must be very clear. By no means am I intending to “bite the hand that feeds me”. See, it’s because of these enterprises that I do not carry any student debt. Since high school my tribe has helped finance my education, all the way through grad school and our casino made that possible. So, I offer my critique and my humble opinion on this issue with complete gratitude and mean no disrespect to the generosity or support that my tribe has shown me. What’s also often assumed is that tribes get to keep all the profits from their casinos. Again, this is false. Not only are there strict regulations that tribal nations must follow in regard to dispersing the profits among the tribe, tribal casinos are also required to pay state compacts, federal taxes, state income, sales taxes, and on top that they need to finance the business, which leads to paying back loans. This brings me back to the casino my tribe is building. This is an uncertain time for gaming, especially in New Mexico where there’s a lack of population growth and a lack of growth in personal income. That means less people in the state with less money to spend on entertainment. In addition, according to the New Mexico Gaming Control Board, in 2016 Camel Rock Casino experienced its worst drop in profits since 2002 due to the mega casino, Buffalo Thunder, located just 3 miles north. All of this begs the question, why are we still building casinos? And, I haven’t even gotten to an environmental perspective on this yet. If you’ve been in New Mexico these past couple of months, you’ve probably said to yourself, “this winter has been really wierd and really sad." You’ve said or thought this because we’ve seen little to no snow. And for us who live in the high altitude parts of the state, this has had a huge impact on our local economies that depend on snow and winter sports. So what we know from this, is that climate change is real and our seasons are becoming drier and drier, which means less water. So why are we investing in systems that will require resources that aren’t guaranteed? 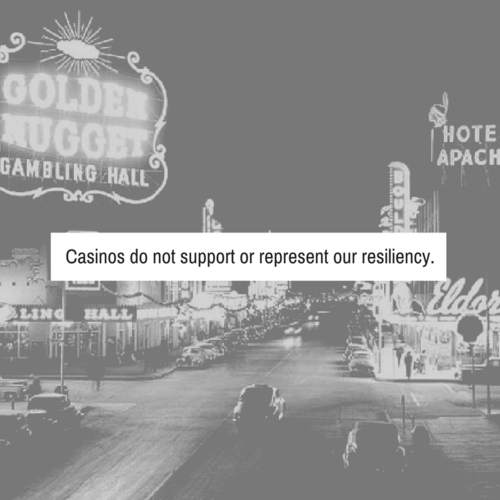 Casinos do not represent who we are as Indigenous Peoples, in fact, they contradict our values to live in harmony with Earth: they require massive amounts of energy and give nothing back to the land. And to take that one step further, casinos and their games of chance do not give back to the people, rather they exploit and give us false hope, they make us dependent on an unstable industry, they feed our greed, they distract us, and for some they create and enable addiction. My tribe, Tesuque Pueblo, is a leader in seed sovereignty and in farming. This is one of the reasons I am so proud to be apart of this community. I am proud to see the farmers and seed savers from my tribe carry on our ancestral traditions, traditions that have sustained us for time immemorial and will continue to do. This is what I want to see more of. Instead of casinos, let’s be more creative. Let’s invest in systems that will help us thrive. Let’s look at other tribal communities who are investing in solar farms, in hemp production, in permaculture models, in ecovillages and follow their lead. Let’s look to our relatives who are adapting to climate change right now and learn from their innovation. Instead of falling back on an outdated model, let’s invest in models that support and represent our resilience. 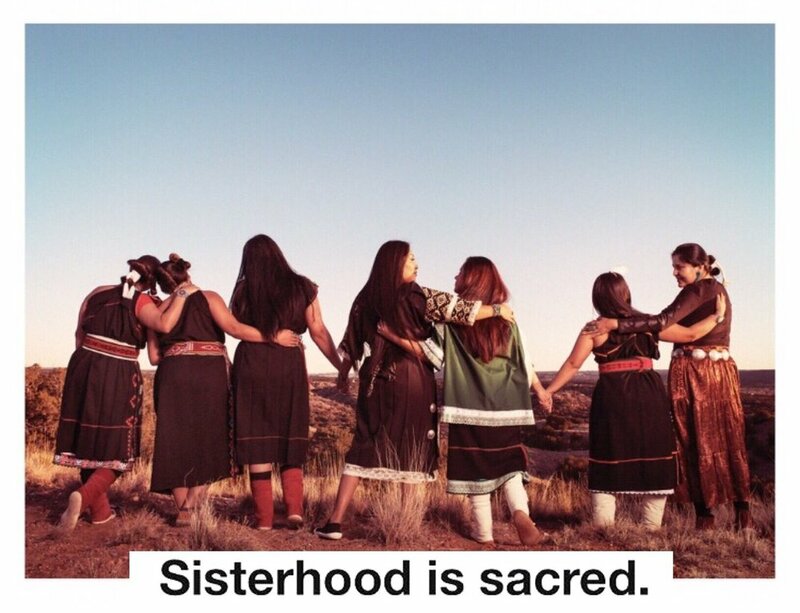 You can find more of Jade's work at @IndigenousRising (Instagram) and Indigenous Rising Media (Facebook).